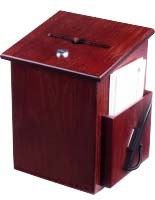 Comes with a lock and key for privacy. 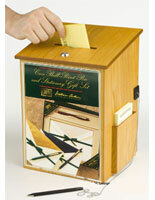 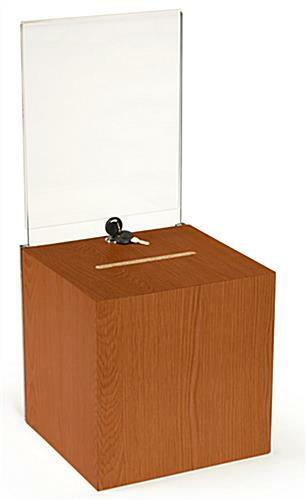 This wooden donation box with lock is perfect for raffles or public voting. 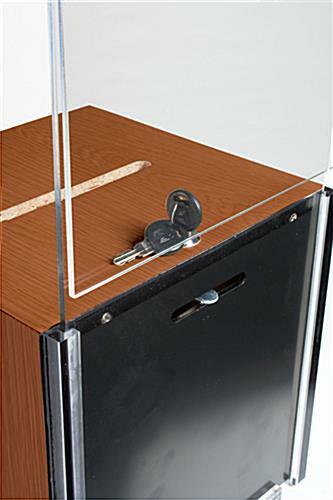 The lock and key provide security and privacy. 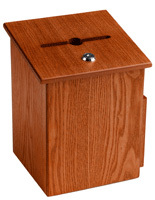 This suggestion box is made from light cherry. 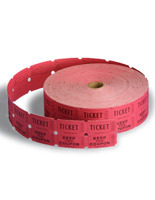 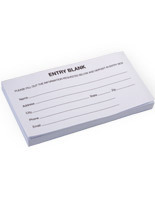 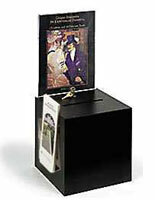 Each holder features a 8.5" x 11" holder for promotional signage. 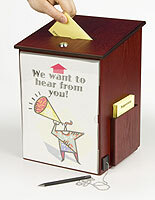 This suggestion box is perfect for public forums. 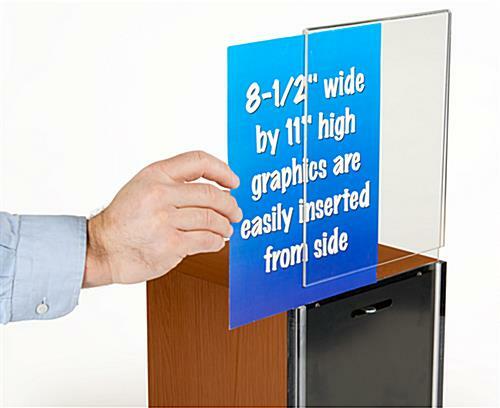 Simply unlock and slide the plastic frame to release contents. 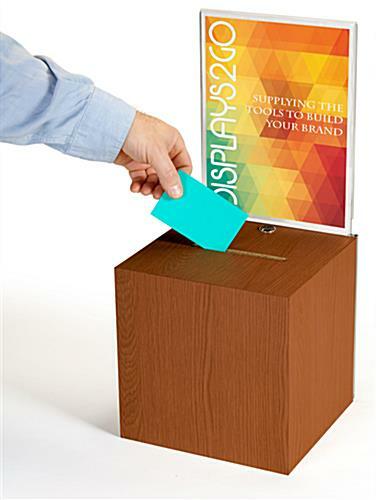 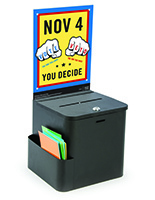 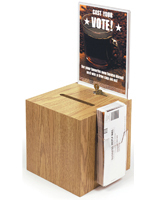 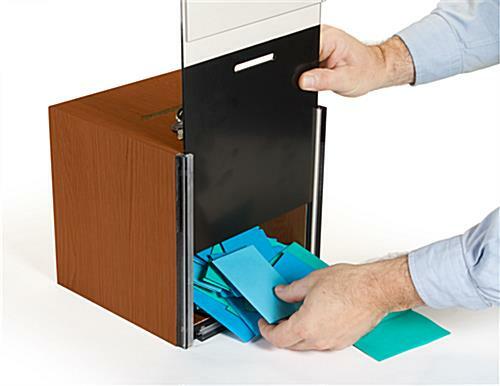 An optional 4" wide brochure holder can be purchased for distribution of your ballots or brochures. 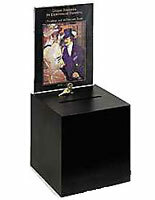 See BXLO85LH4.